Owning a car means you need to perform proper care and maintenance to keep it functioning optimally. 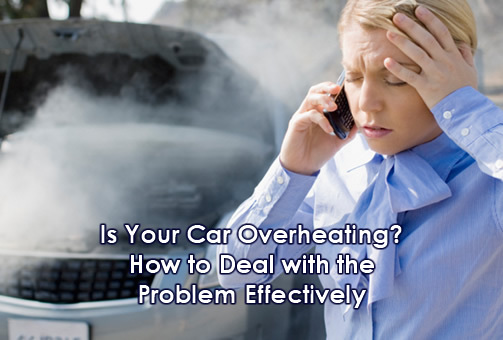 Not performing appropriate care could lead to your car overheating. The engine may start causing trouble, which can greatly damage the rings and pistons, head gasket, and other engine components. If your car starts overheating, you can notice the temperature meter rising higher. Always check the meter. If the engine is overheating, the first thing you should do is turn it off. Wait a few minutes, open the hood, and let the engine cool off on its own. To speed the process, grab a bottle of cold water and throw it on the engine to help with the cooling. Remember to never uncap the radiator system or water system in case of the car overheating. This particular component of your car is responsible for cooling the engine. As a result, it will be under high pressure. If you uncap the radiator, it will blow off and the boiling hot water/coolant will come flying out, posing a risk to your safety. One of the main reasons why your engine might start overheating is because it lacks the appropriate level of coolant or antifreeze liquid. If the liquid levels are low, you can expect your engine to overheat. Get the system running back up perfectly by filling the radiator with new antifreeze. If you can’t get coolant, you can always put water in the system for cooling. If the issue reoccurs and your car continues to overheat, it’s time you visit a professional mechanic. Have the mechanic repair the system or install a Professional Cooling System. Sometimes finding the cause and fixing it only causes more problems in the future (especially if there are leakage problems). A professional cooling system can rid the hassle and make life easier for you.